← Are we Ready to go Barefoot? Last week I had the privilege of joining 7 other people on a silent retreat. 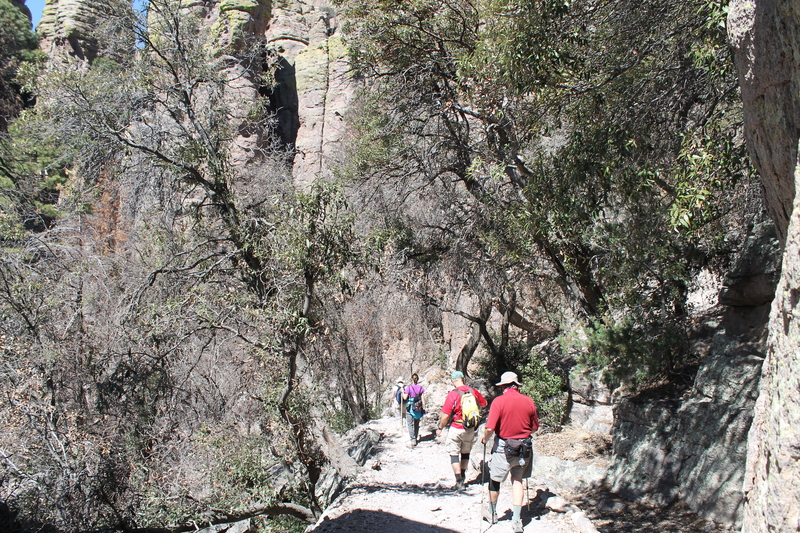 The unique characteristics of this retreat was not only the silence but the chance to meditate 3x a day and hike through various parts of the high desert found in southern Arizona. Each evening we would meet and reflect upon a reading, video or parts of a book related to the wonder of God and nature. This relationship was often symbolized as a flowing river. To strengthen our awareness, one evening we turned to Laurence Freeman OSB, and read lectio devina style, parts of a newsletter that he had sent out years ago that was perfectly suited to this week of silence. “To feel this natural peace by the glass-smooth river, as the birds sweep and dance above it, as the sky brightens like an irresistible human smile that you know won’t let you down, is to find oneself anew. It is to be restored to the harmony of nature- the shalom in which we resonate with all creation, with these conditions merely as an absence of conflict or as an escape from risk – as do urbanized human beings in their security compounds walking below the cold gaze of security cameras- is to not be there at all. It is to miss the gift of peace and to be far away in an illusory world,” Laurence Freeman OSB. Over the next few weeks, I will continue to reflect and write about this retreat. “God saw all that he had made and saw that it was very good. When we see this, we see with the mind of God,” Genesis 1:31. This entry was posted in Uncategorized and tagged christian meditation, contemplative living, laurence freeman, richard rohr. Bookmark the permalink. 3 Responses to Silence, Meditation and Hiking! Thank You Mary Jo! We will be in Bisbee for about 12 days and then we are going to head north to the Sedona area for 3 days and then back to Tucson for a quick visit to the Saguaros before we head back east to MD. I want to spend as much time as possible in contemplation/ meditation so your suggestions are so very welcome. Thank you for your blog. Although I have not commented before, I have found untold inspiration in your work. Thank you.